All Stars Media posted Wednesday December 19, 2018. T Mac has locked in for the third year in a row for the richest 360 show in Australia. Terry McCarl is again driving the Melbourne Stainless USA24 and is looking forward to running at the ‘Avocado shaped’ track as he affectionately nick-named the little Bungador bull ring. With $10K on the line for the winner it is no wonder teams are starting to nominate. “Everyone is optimistic after the washout last year which deprived us of a winner.” Promoter Searle tells us. McCarl will also be competing at Timmis Speedway, Mildura for RD 5 of the series on January 5th. 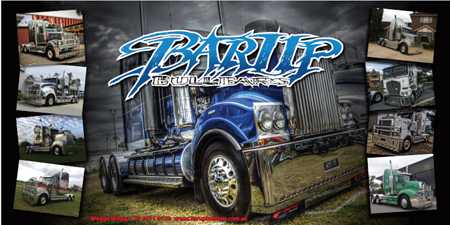 Past Series Champ’s Mark Caruso’s SA33 and VIC 34 Brenten Farrer have also locked in for the show. Hard Charger Tim VanGinneken’s VIC 44 is making a return to 360 ranks for the weekend. TVG ran third to the Yanks in 2017 and hoping to improve on this. West Australian based WA30 Jamie Landrigan is another to nominate early and has been running both 360 & 410’s the last couple of weekends. Landrigan is a regular competitor in West Australia and trips backwards and forwards from Port Hedland. Newly crowned SA 360 Champ SA44 Dan Evans has shown speed all season and is excited to be competing in the Challenge. Michael Tancredi’s V29 Cool is another to get his name in early. Tancredi has already been on the podium a couple of times this season. With $10,000 for 1st, $2600 -2nd, $1800-3rd, $1500-4th, $1200-5th, $1000-6th back to $600 just to start the A is a fantastic payout for 360 teams. A total of $27K in prize money paid out. Any competitor interested in competing is welcome to be a part of the 9th Annual Mainline DynoLog Dynamometers All Star Challenge. “This is pretty exciting for both the All Stars and Simpson and puts us right up there with other major sprintcar events in January. It is the third $10K to win show we have run and shows our dedication to the annual event which is held the weekend before the Grand Annual Classic. It kicks off a week of major race meetings in the state with the Presidents Cup being held at Avalon and the Kings Challenge at Mt Gambier then finishing at Warrnambool with 3 nights for the Classic.” says Mandy Searle. Mainline DynoLog Dynamometers Annual All Star Challenge is held at Heytesbury Stockfeeds Simpson Speedway January 12 2019. Get your nomination in now. Forms are available from www.sprintcarallstars.com.au and can be emailed to [email protected] or faxed to 03 9338 7476.